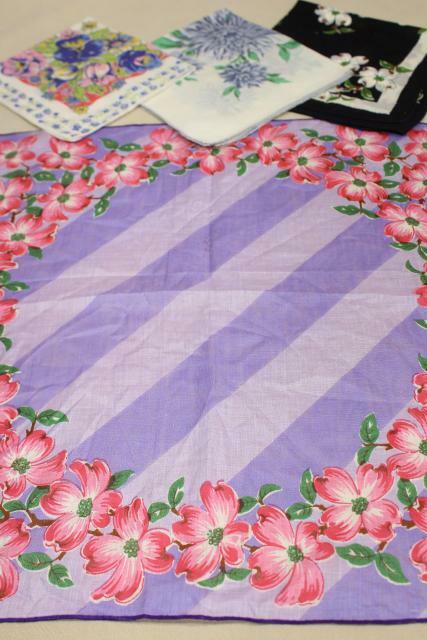 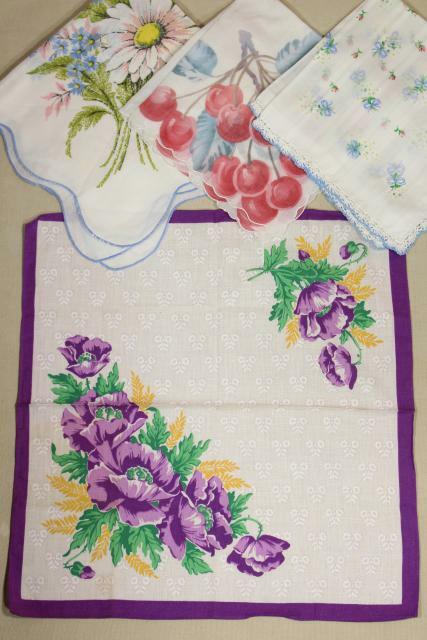 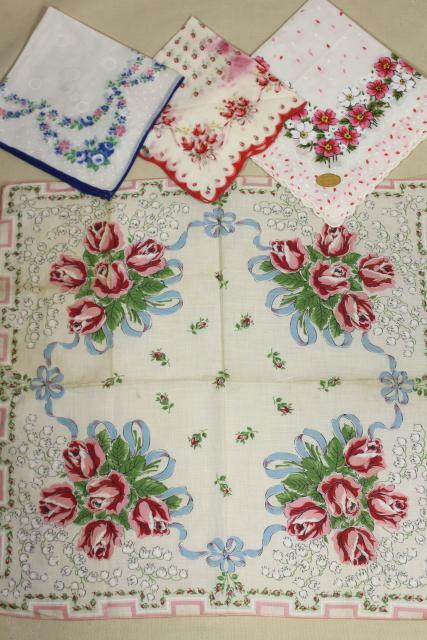 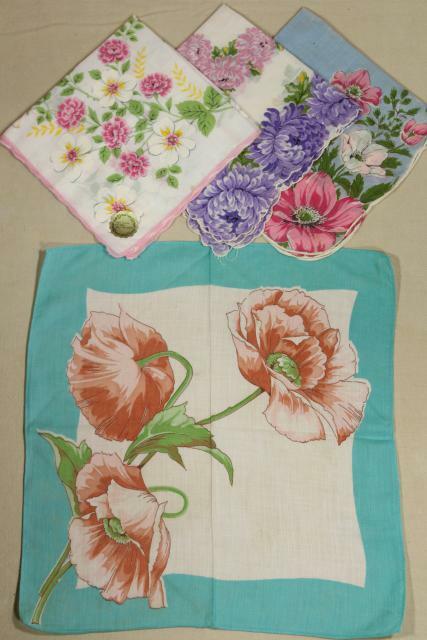 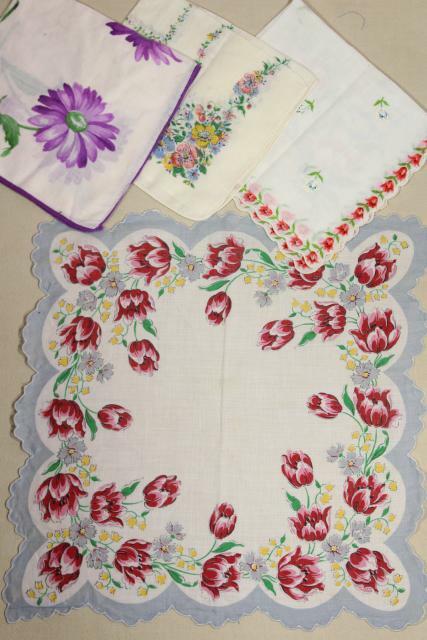 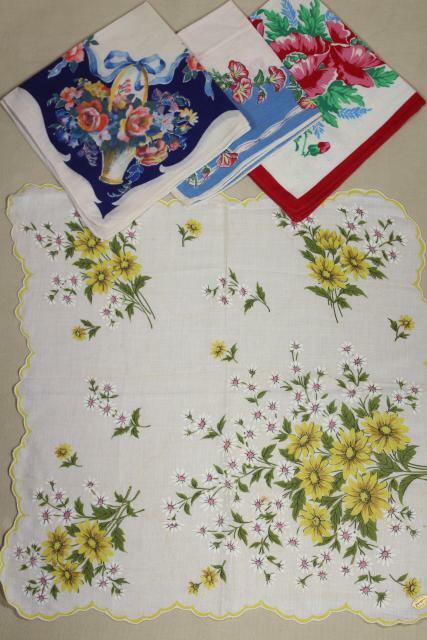 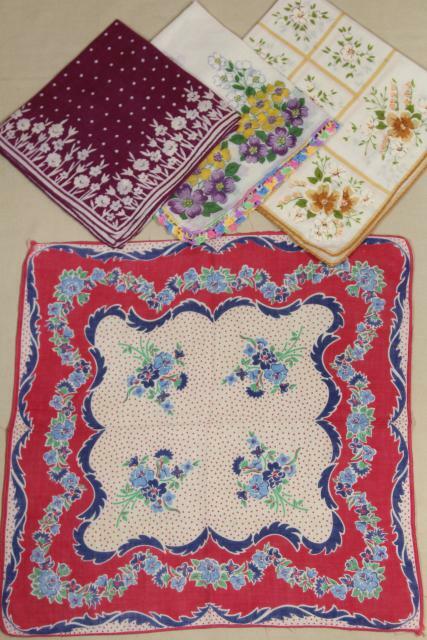 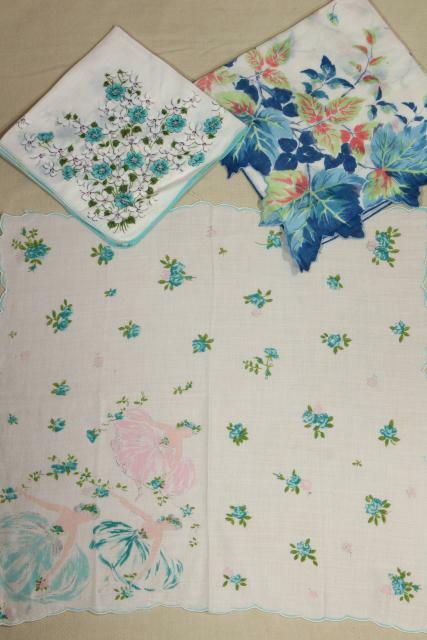 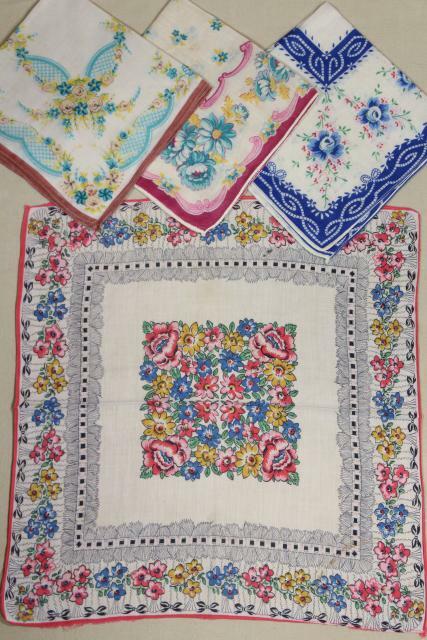 Lot of 40+ vintage print cotton handkerchiefs, nearly all florals. 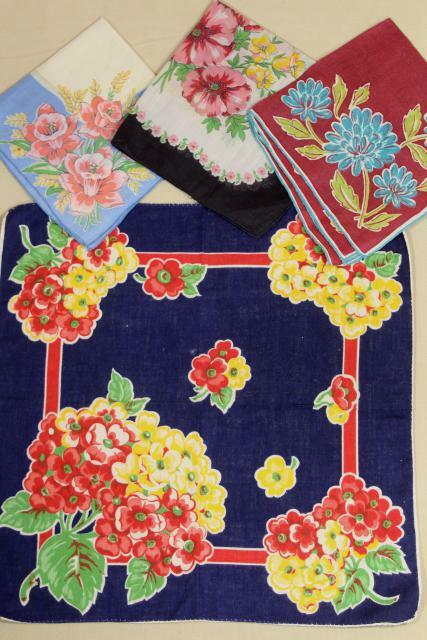 Lovely, very colorful! 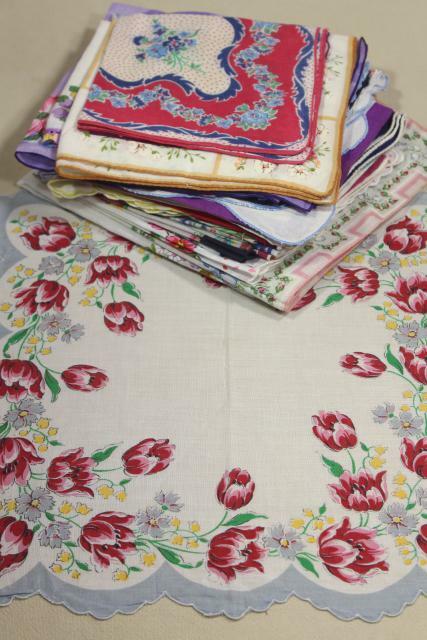 Most of these look very good, but some of them show use (slight fading, or wear, or spots, or some small holes). 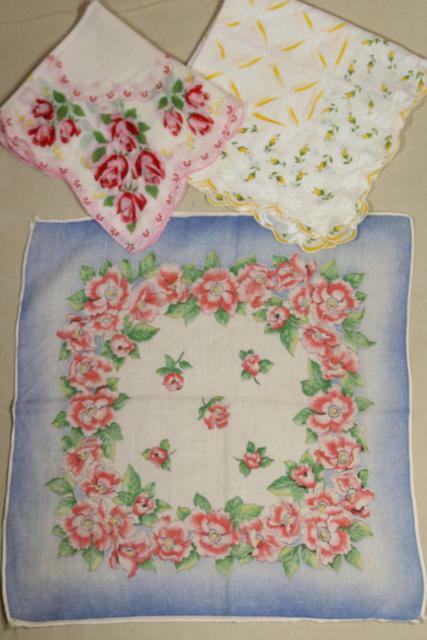 But most are fine to use, or to upcycle for crafts, garlands and party decor, etc. 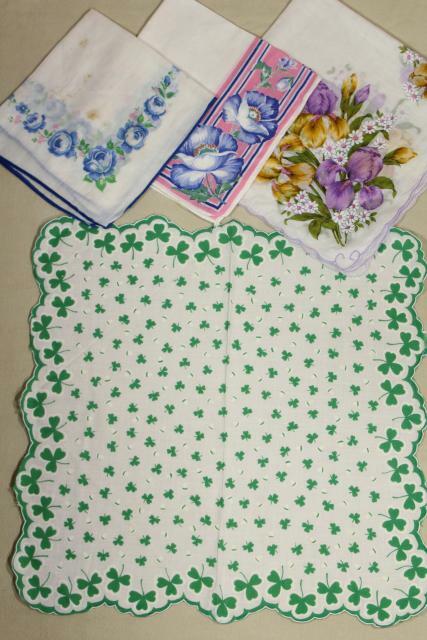 etc..